Help Maw grow for the first time. Find and eat 200 Yums. With the Bulbous power, electrify at least 50 objects and/or creatures. With the Loofer power, laser at least 125 objects and/or creatures. With the Puff-Tor power, smash at least 50 objects and/or creatures. With the Beetull power, ram at least 50 objects and/or creatures. Get 100% Eaten in each level. 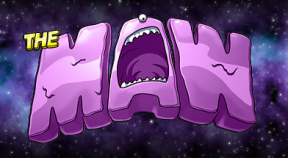 Play during Maw's six meal times: Breakfast, Brunch, Lunch, Dunch, Dinner, and Midnight Feast. Find and eat 30 Gloobers. Find and eat all the Snuffles. With the Gastro power, flame at least 150 objects and/or creatures. Get 100% Eaten and Eat the Snuffle in Brute Force. Get 100% Eaten and Eat the Snuffle in River Redirect. Get 100% Eaten and Eat the Snuffle in Speeder Lane.